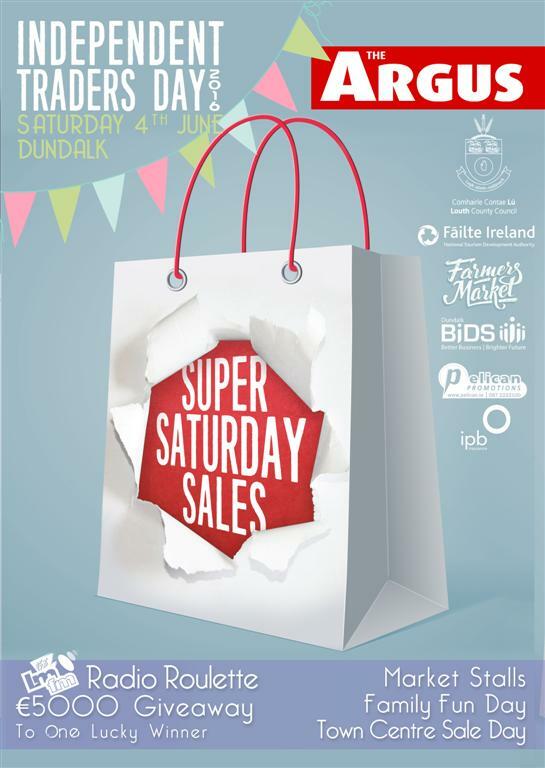 Independent Traders Day | Family Fun Day & Artisan Food Stalls |Saturday 4th June ‪‎Dundalk will celebrate the biggest Town Centre Sale Day since Black Friday! ‘It’s so easy!’ Spend! Spend! Spend! Win! Win! Win! 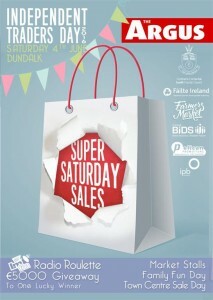 with #DundalkSuperSaturday the Biggest Town Centre Sale Day ever in the history of Dundalk!